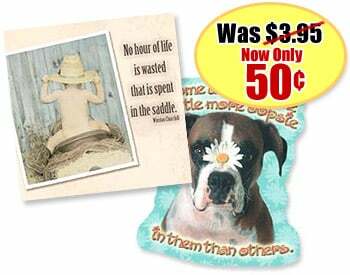 Decorate your fridge, file cabinets, or metal bookcases with Flexible Magnets from Leanin' Tree! Flat and lightweight, perfect for mailing. Amusing, heartwarming or inspirational verses. Priced to Clear! Was $3.95, Now only $.50 each!